Modal verbs are the ‘shoulda, woulda, coulda’ verbs. They are used to change the meaning of other verbs, and knowing how to use them is essential for children who are about to sit the KS2 National Tests. 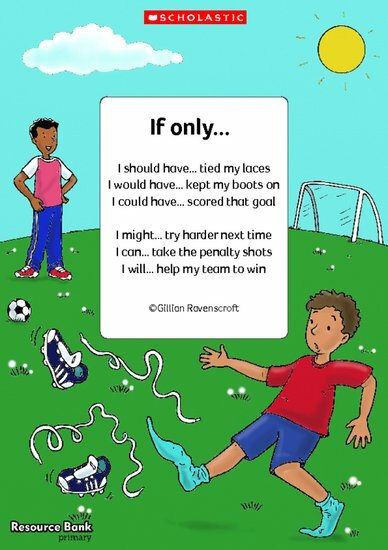 Present the poem ‘If Only…’ and model how to write a version using the children’s suggestions. The first verse should express regret or disappointment, while the second verse conveys determination to succeed. Tell children to write their own versions – using the example as a scaffold where appropriate – then invite pupils to share their poetry with the class.